On most visits to a pro shop, after paying your greens fees, you grab a scorecard. But what about those other potential acquisitions? The knickknacks and the gadgets. The gear and the apparel. Odds are the shelves are stocked, the floor space crowded, with a mix of useful and useless merchandise. Because all pro shop purchases are not created equal, it helps to have some guidelines. Here’s a list of items that are worth buying, and others you’d be better off passing up. 1. A yardage book - YES Years from now, you might flip through this relatively small-ticket item and relive a lovely day on a lovely course. But it also serves a worthy short-term purpose: as in, you know, helping you shoot a lower score. 2. A logo-ed cap - YES The Bandon Dunes logo is the tufted puffin. The Cypress Point logo is a wind-coiffed cypress tree. But you won’t come across either at your local PGA Superstore. And if you find them on eBay, not only is the price apt to be absurd, you might not be getting the real deal. At one-of-a-kind destinations, a hat with the logo is a no-brainer, a pragmatic, easy-to-pack souvenir that isn’t available just anywhere. Buy one. You never know when you’ll be back. 3. Golf shoes - NO Mark Twain was wrong. Golf is not a good walk, spoiled. But it’s also not much fun when you’re feet are badly blistered by a pair of stiff kicks. The smart move is to buy shoes in advance, and take time to break them in. 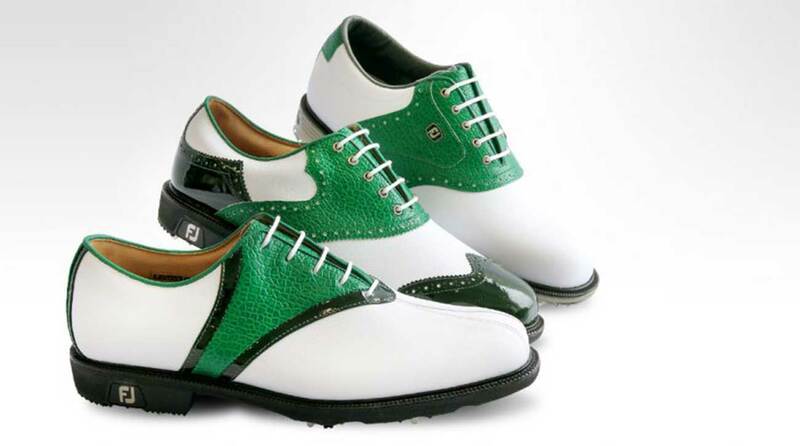 Golf shoes are great! But you should break them in prior to the pro shop. 4. A logo-ed visor - NO Because this isn’t the 1970s, and you aren’t Tom Kite. 5. A logo-ed bucket hat - YES The instant you buy it, count on someone trotting out their Al Czervik impression: “Bet you get a free bowl of soup with that.” Ignore them. Not only is this person unoriginal, they’re also ignorant to the sun-blocking beauty of a bucket hat, made all the better by the cool logo just above the brim. 6. Distinctive books or photos - YES Some pro shops, especially those at exclusive private courses, sell distinctive photographs of their iconic holes, or hard-bound histories of their clubs. True, you might find those same items elsewhere. But it’s nice to get such keepsakes straight from the source. 7. Golf shirts and sweaters - MAYBE Check the material. Is it breathable cotton, or itchy polyester? Moisture-wicking, or swamp-like when wet? Beyond that, does it, um, fit? To accommodate beer-bellies and fragile egos, a lot of golf apparel tends to run large. Today’s small is yesterday’s XXL. As for patterns and colors, it all comes down to personal preference. We prefer solid and subdued, in large part because we favor classic styles over Rickie Fowler’s neon or John Daly’s explosion-in-a-paint-factory look. 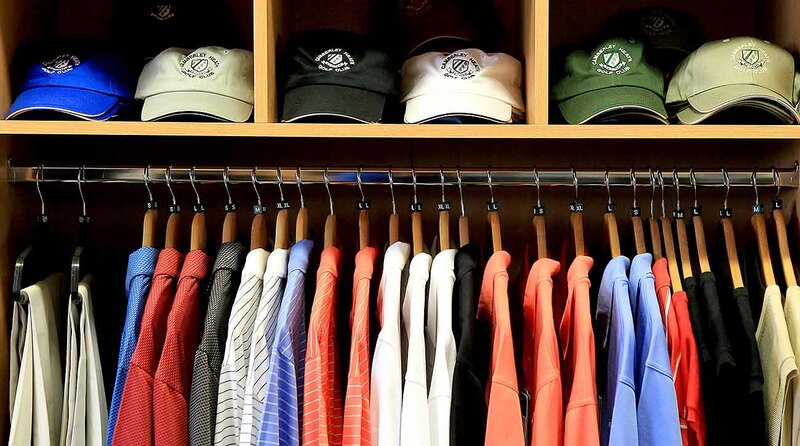 What pro shop isn't stuffed with hats and shirts to purchase? 8. Irons - NO The same rule applies to irons that applies to drivers: never buy until you get a chance to see how they fly. 9. Drivers - NO Sure, it’s nice to support the club pro, who might get a cut of pro shop sales. But unless he or she is equipped to fit you on the spot, you’re taking an expensive risk, paying top dollar for club that might not be suited to your swing. 10. Wedges - MAYBE Are your grooves worn down? Do you really like the feel of the one off the rack that you just waggled? Because customization is less crucial with wedges than it is with driver, we’ll give you the green light if you simply can’t resist. Just don’t blame us when you come across that same wedge elsewhere at a better price. 11. Putter - MAYBE It’s always better to be fitted for a putter. But if you love the way it rolls on the fake turf in the shop, ask the pro if you can take it for a test run before you pull the trigger on a purchase. Just remember: putters have a habit of behaving nicely, right up to the moment when you buy them. From that point on, they’ll betray every chance they get. 12. Logo-ed golf balls - MAYBE If you’re out of ammo, we’ll allow this. But otherwise, why get price-gouged? As soon as you use them, there’s a good could that you’ll lose them. And as keepsakes go, pro shops sell far better souvenirs. 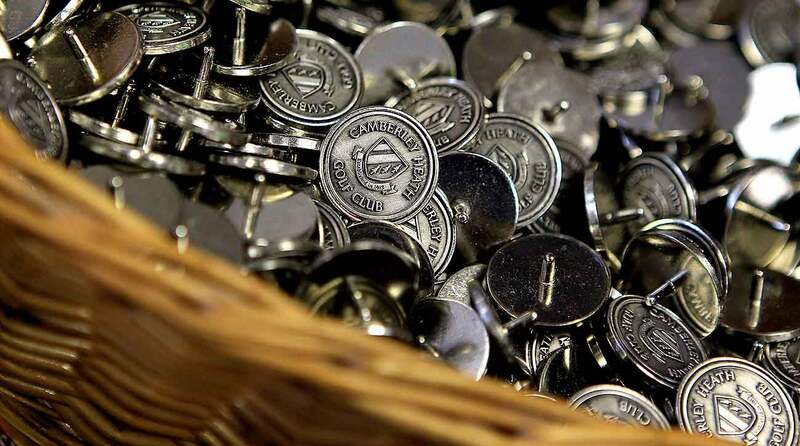 Ball markers won't set you back too far. 13. Ball marker - YES Like a pack of gum at the drugstore counter, a ball-marker is a harmless impulse buy, so go ahead and grab one. It shouldn’t cost a lot. A few bucks, max. But that’s still more than a quarter, dime or nickel, all of which work just fine as markers, too. 14. Tees - NO For starters, a lot of self-respecting golf courses give these away. And at those that don’t, you can simply scrounge for broken ones on the tee. 15. Rain gear - MAYBE Wait. Help us understand. You went through the trouble of planning a golf trip, but then didn’t check the weather and pack accordingly? Now’s it’s raining cats and dogs, so you might as well shell out good money to stay dry. Consider the steep markup a tax on your absent-mindedness. Next time, maybe you’ll be exempt. 16. Snacks and drinks - NO The world is filled with junk food pretending to be health food, and pro shops stock a disproportionate share. That energy bar that claims to give a back nine boost? It’s pretty much a Snickers in a fancy label. And don’t even get us started on that phosphorescent sugar-water, masquerading as an “energy drink.” If you don’t want to bonk or go thirsty on the golf course, stash almonds in your golf bag and bring a water bottle, both of which you can get at home. 17. A golf glove - MAYBE The lifespan of a golf glove depends on its quality, how often you use it and whether you grip the club like the Boston Strangler or a pet-shop keeper coddling a baby bird. As a general rule, though, if there are holes in the palm or fingers and the fabric is more slick than tacky, it’s time for a new one. You’ll pay a premium in a pro shop, but that 5 or 10 bucks extra is arguably worth it for the shot or three you’re apt to save.